Canadian Dollar rises in early US session as core inflation came in higher than expected. 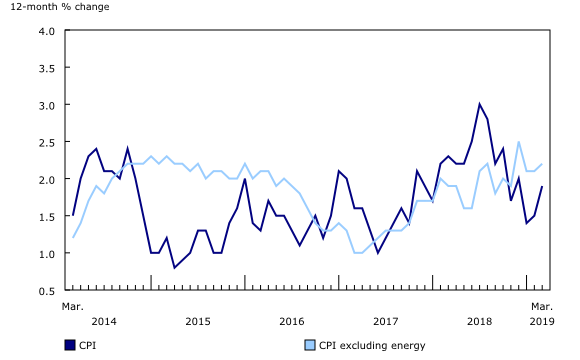 Headline CPI rose 1.9% yoy in March, accelerated from 1.5% yoy but matched expectation. CPI core common was unchanged at 1.8% yoy, matched expectations. However, CPI core median accelerated to 2.0% yoy, up from 1.8% yoy and beat expectation os 1.8% yoy. CPI core trim rose to 2.1% yoy, up from 1.9% yoy and beat expectation of 1.8% yoy. Also from released, Canada trade surplus was smaller than expected at CAD 2.9B in February. US trade deficit narrowed to USD -49.4B in February. USD/CAD dips through 1.3284 support after the releases. But it’s staying above 1.3250 support. 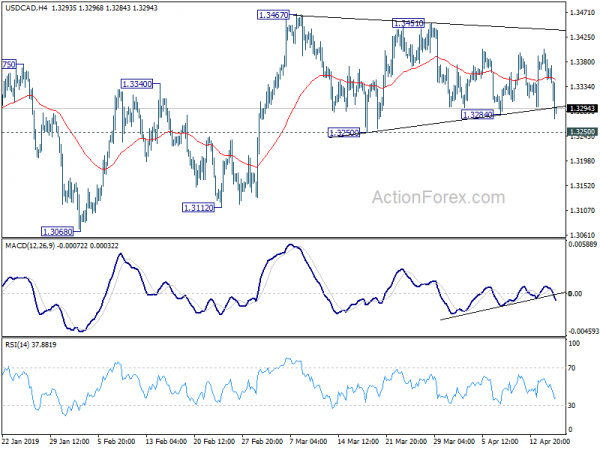 There is no change in the view that it’s in consolidation pattern from 1.3467. Rise from 1.3068 is expected to resume sooner or later.